After the world premiere at the Xbox media briefing, we got to have a closer look at The Beatles: Rock Band on the showfloor, in a replica of Abbey Road, as the Harmonix team played on stage. 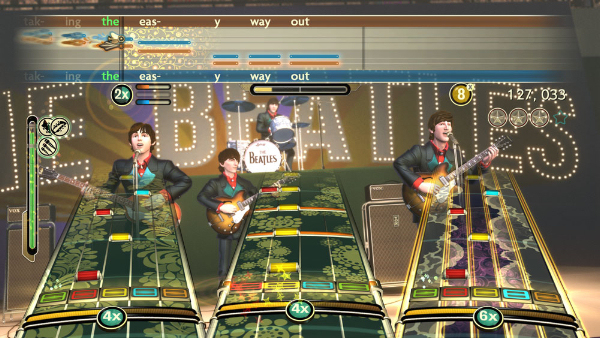 The Beatles: Rock Band is quite different from what we are used to seeing in Rock Band. The Campaign mode is actually the chronological progression of the band's career. 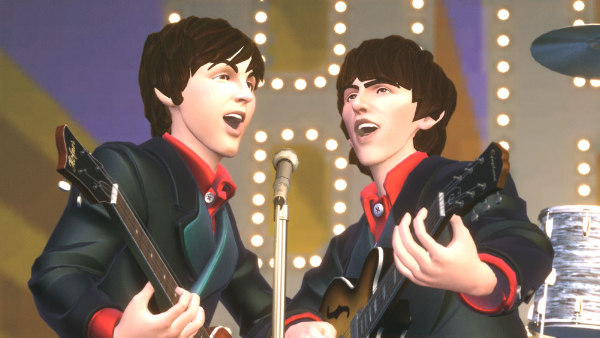 The game introduces historical venues where the band played, such as the rooftop, Ed Sullivan Show, The Cavern club, Shea Stadium, Abbey Road's Studio 2 and more, all packed with tons of screaming female fans. 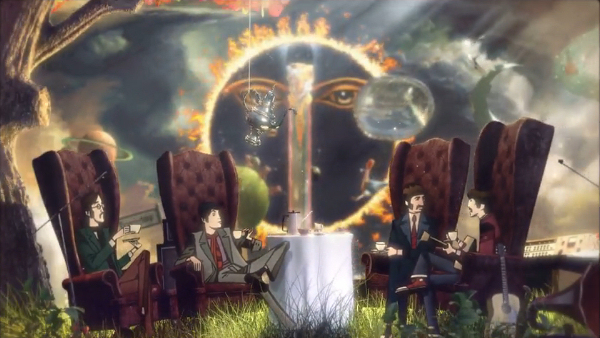 However, some of the venues were created based on iconic Beatles imagery, turning into psychadelic dreamscapes that fit much better with certain songs. 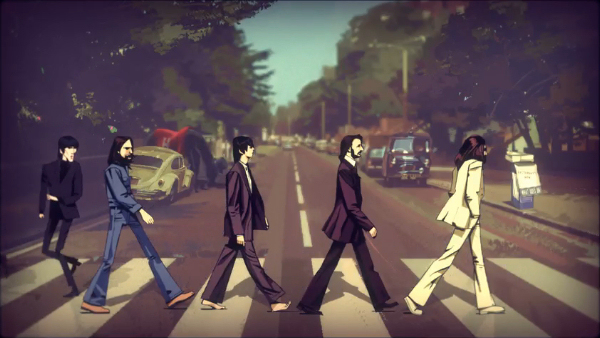 DLC will consist of full albums of the band, with Abbey Road being the first to be released shortly after the game's launch. 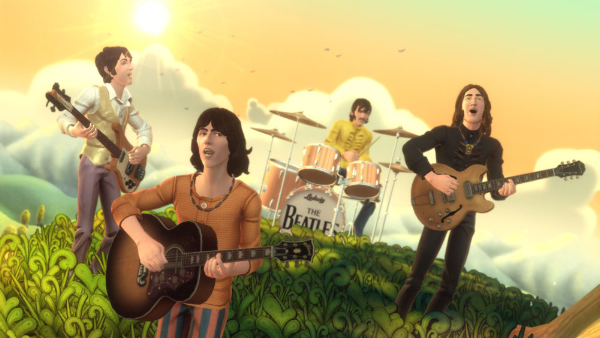 All You Need Is Love is available as a single track through DLC as well, and proceeds from this song will be donated to Doctors Without Borders. 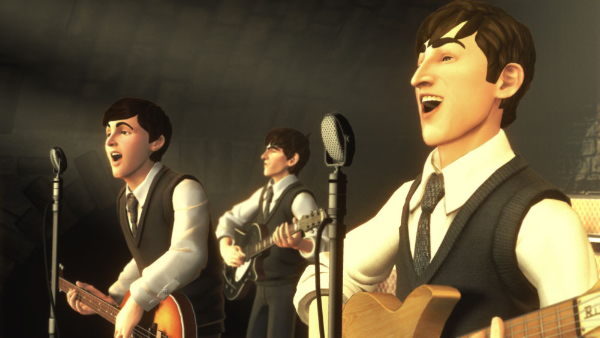 A few of the differences to be noted are the new guitar controllers, which are replicas of those used by George Harrison, Paul McCartney and John Lennon, and the new drums set reminiscent of the one Ringo Starr used, featuring a kick drum head with The Beatles logo. 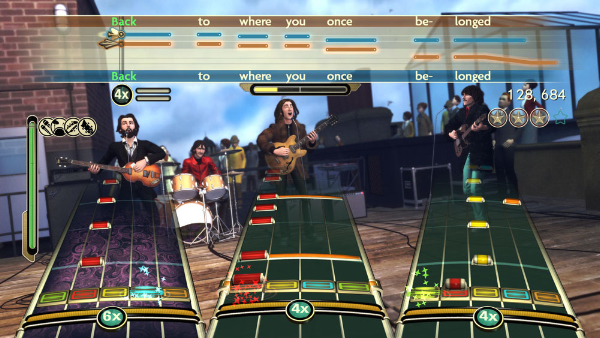 As for the gameplay, it's still the same Rock Band we know, but with and 100% more bowing after a performance and one major difference: the band can now have up to 6 members, three of them on vocals. 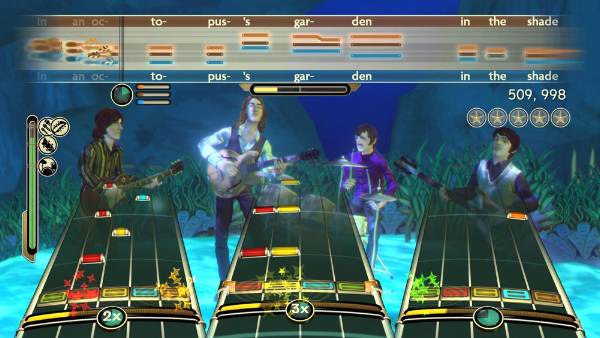 The "karaoke" bar at the top of the screen now shows three individual voice bars, so even if you already have all the instruments, at the most you will need a couple of microphones to get a few more friends in on the fun. The trio of voices adds some new mechanics to the game in the form of bonuses for performing well during harmonies. Think of it as Unison bonuses, but instead called Fab. 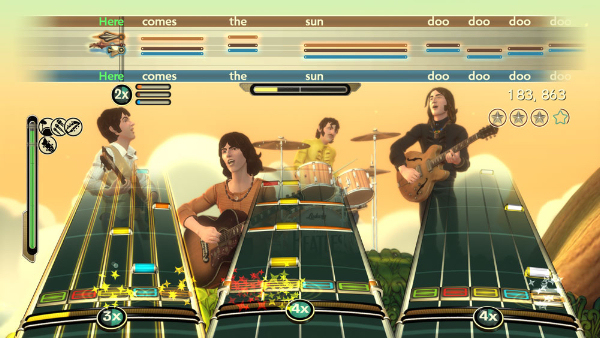 The Beatles: Rock Band will be available worldwide on September 9, 2009 for PS3, Xbox 360 and Wii, in full bundles or stand-alone software. Guitar controllers will also be available for purchase separately.